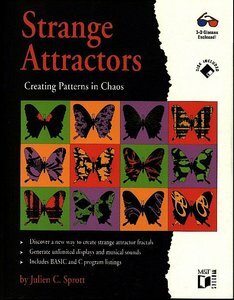 This book describes a simple method for generating an endless succession of beautiful fractal patterns by iterating simple maps and ordinary differential equations with coefficients chosen automatically by the computer. It contains over 350 examples of such patterns. Each pattern produces a corresponding piece of fractal music. The book also describes methods for visualizing objects in three, four, and higher dimensions and explains how to produce 3-D stereoscopic images on the computer screen using red/blue glasses3d glasses which are included with the book. Julien Clinton Sprott is an Emeritus Professor of Physics at University of Wisconsin, Madison, WI.